The key ingredient in all vaccines is one or more active ingredients (see below). Apart from this, the main ingredient in vaccines is water. Most injected vaccines contain 0.5 millilitres of liquid, in other words a few drops. All other ingredients weigh a few milligrams (thousandths of a gram) or even less. Unlike food products, the list of vaccine ingredients may include products used during the manufacturing process, even if they do not remain in the finished product. Added ingredients are present in very small quantities (usually a few milligrams). Products used in making vaccines or growing the active ingredients may not remain in the final vaccine at all. If they do, they are present only in trace amounts. Vaccine ingredients can look unfamiliar. However, it is important to remember that many of the substances used in vaccines are found naturally in the body. For example, many vaccines contain salts based on sodium and potassium (see the section on 'Acidity regulators'), which are essential for life. People may think of formaldehyde as a man-made chemical, but in small quantities it is also found naturally in the bloodstream. All vaccine ingredients are present in very small quantities, and there is no evidence that they cause harm in these amounts. The exception to this is the small number of people who may be severely allergic to a vaccine ingredient, even if it is present only in trace amounts (for example, egg proteins or antibiotics used in vaccine manufacture). If you look up some vaccine ingredients on the internet you may read that they could be harmful, but most of them are present in vaccines in amounts that are completely normal for our bodies. Even common salt (sodium chloride), which is essential for normal functioning of the body, is harmful in large quantities. A list of vaccine ingredients can be found on the Patient Information Leaflet (PIL) and Summary of Product Characteristics (SPC) sheet for each vaccine. See the list of PILs and SPCs on our links page. For further information about vaccine ingredients, contact the manufacturer of the vaccine. These are the parts of the vaccine made from viruses or bacteria (also called ‘antigens’). They challenge the immune system so that it makes antibodies to fight the disease (see our animation on 'How do vaccines work?'). Vaccines contain tiny quantities of active ingredients – just a few micrograms (millionths of a gram) per vaccine. To give some idea of how small these quantities are, one paracetamol tablet contains 500 milligrams of the drug. This is several thousand times more than the quantity of the active ingredient you would find in most vaccines. Hundreds of thousands of individual vaccines could be made from a single teaspoon of active ingredient. Some vaccines contain whole bacteria or viruses. In these cases the bacteria or viruses will either be severely weakened (attenuated) so that they cannot cause disease in healthy people, or killed altogether (inactivated). Many vaccines contain only parts of viruses or bacteria, usually proteins or sugars from the surface. These stimulate the immune system but cannot cause disease. 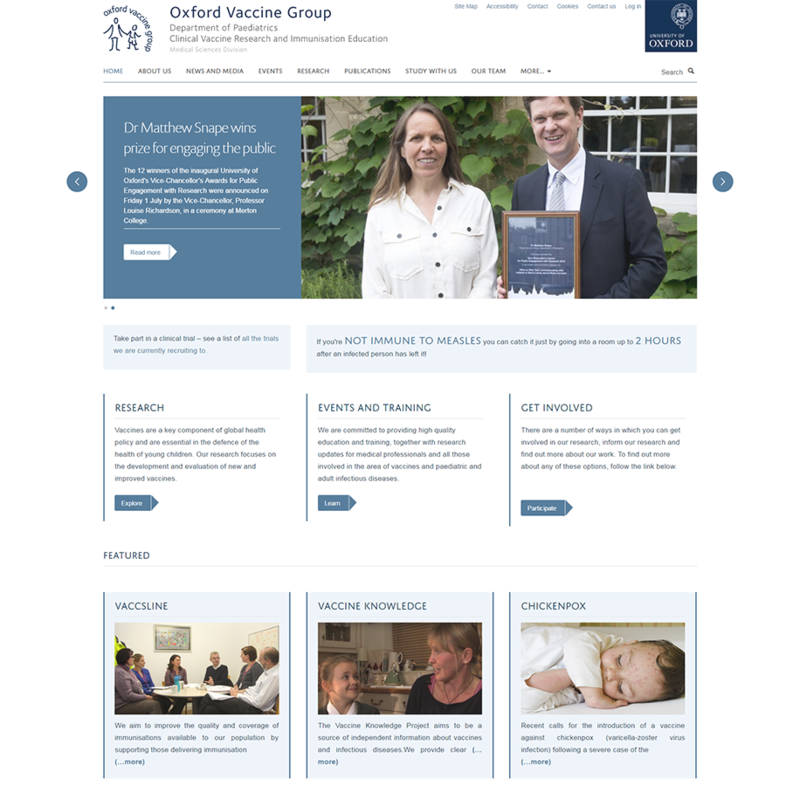 See our page on 'Types of vaccine'. Compared to the number of viruses and bacteria in the environment that our bodies have to deal with every day, the amount of active ingredient in a vaccine is very small indeed. Most bacterial vaccines contain just a few proteins or sugars from the relevant bacterium. By contrast it is estimated that 100 trillion bacteria live on the skin of the average human being, each of them containing many thousands of proteins which constantly challenge our immune systems. A few vaccines in the UK schedule are made using recombinant DNA technology. Only one vaccine used in the UK contains genetically modified organisms (GMOs). These are products such as aluminium salts that help to improve the immune response to vaccines, or products that act as preservatives and stabilisers (for example, gelatine or human serum albumin). These are listed on vaccine information leaflets as ‘excipients’ (inactive ingredients). Like vaccines, most of the medicines we use also contain excipients. Many vaccines contain aluminium salts such as aluminium hydroxide, aluminium phosphate or potassium aluminium sulphate. They act as adjuvants, strengthening and lengthening the immune response to the vaccine. Aluminium salts appear to slow down the release of the active ingredient from the vaccine once it is injected, and stimulate the immune system to respond to the vaccine. They also absorb protein well, and stop the proteins in the vaccine sticking to the walls of a container during storage. Aluminium is the most common metal in the earth’s crust and we are exposed to it all the time. It reacts with other elements to form aluminium salts, and small amounts of these are found naturally in almost all foods and drinking water, as well as in breast milk and in formula milk for babies. Aluminium salts are used as food additives (for example in bread and cakes) and in drugs such as antacids, and aluminium is widely used in food packaging. Aluminium is not used by the body. Any aluminium absorbed from food or other sources is gradually eliminated through the kidneys. Babies are born with aluminium already present in their bodies, probably from the mother’s blood. Over time, small amounts of the aluminium from food, drink and other sources do accumulate in the body, but this is not believed to pose a significant risk to health (see for example this UK research from 2004 ). The view of most experts is that there is currently no convincing evidence that exposure to everyday levels of aluminium in any form increases the risks of Alzheimer’s disease, genetic damage or cancer. The amount of aluminium present in vaccines is small - less than 2 milligrams of the salts, and less than a milligram of actual aluminium. In the UK, the highest dose of aluminium that babies receive in one go from vaccines is just under 1.5 milligrams (from the 6-in-1, PCV and MenB vaccines at 8 weeks and 16 weeks). A study from 2011 modelled the impact of aluminium from diet and vaccines in infants, and concluded that the total amount of aluminium absorbed from both sources was likely to be less than the weekly safe intake level. A study from 2002 drew similar conclusions. A study published in March 2018 took samples of blood and hair from 85 babies and measured their levels of aluminium. These levels varied considerably, but researchers did not find any correlation between aluminium levels in blood or hair and the estimated amount of aluminium that the babies had received from vaccines. Vaccines that contain aluminium are associated with more redness and hardness at the injection site than other vaccines. Rarely, aluminium adjuvants may cause small itchy lumps (granulomas) to form at the injection site. A 2014 Swedish study found that this happened in a small number of children (fewer than 1 in 100) after vaccination with the 5-in-1 vaccine (Infanrix) and pneumococcal vaccine (Prevenar). Granulomas are not dangerous but can be irritating and last for months or even years. The study found that children with granulomas often developed an aluminium contact allergy. However, most children recovered from their symptoms. MF59 is used in only one vaccine licensed in the UK: Fluad, a flu vaccine introduced in the 2018-19 flu season for adults aged 65 and older (see the page on the Inactivated Flu Vaccine). Fluad is not a new vaccine; it was first licensed in 1997 and millions of doses have been given worldwide. MF59 is added to the vaccine to make it more effective. It is an adjuvant which helps to strengthen and lengthen the immune response to the vaccine. It may also lead to an increase in common side effects such as pain, swelling or redness at the injection site, slightly high temperature, headache, feeling generally unwell, shivering, or tiredness. However, there is no evidence that MF59 causes more serious adverse effects. The main ingredient in MF59 is squalene oil, a naturally-occurring oil found in humans, plants and animals. The squalene oil in MF59 comes from fish oil and is highly purified before it is used. Fluad contains less than 10mg of squalene (1mg is one thousandth of a gram). polysorbate 80, sorbitan trioleate and sodium citrate. These are all emulsifiers which stop the squalene oil separating out from the water in the vaccine. Polysorbate 80 and sodium citrate are commonly used in food and drink. Sorbitan trioleate is a compound made from oleic acid (a natural fatty acid) and sorbitol, also found naturally in fruits and other foods. citric acid, used extensively in foods and drinks. Thiomersal is a mercury-based preservative used in tiny quantities in some vaccines to prevent the growth of bacteria and fungi which can contaminate from the environment when the vaccine is opened. Most single-dose vaccines do not contain thiomersal because they are used only once and so there is very little risk of contamination. However, some vaccines are produced in multi-dose vials. There are two reasons for this: they are cheaper, and they are easier to produce quickly in large quantities in the event of an epidemic. Tiny quantities of thiomersal are often used in multi-dose vaccines to stop them becoming contaminated once they are opened. Thiomersal was removed from UK vaccines between 2003 and 2005, and is no longer found in any of the childhood or adult vaccines routinely used in the UK. Before 2005, thiomersal was present in diphtheria- and tetanus-containing vaccines, as well as hepatitis B vaccine and some flu vaccines. It was not used in the MMR vaccine, the Hib vaccine, the MenC vaccine, the oral polio vaccine or the BCG vaccine. Since 2005, thiomersal has only been present in non-routine vaccines such as hepatitis B, and occasionally in some of the annual inactivated flu vaccines. Thiomersal was present in the Swine Flu (H1N1) vaccine Pandemrix, used in the 2009-10 and 2010-11 flu seasons in the UK. However, it is not present in any of the annual flu vaccines currently in use in the UK. In the US, UK and Europe, thiomersal was removed from vaccines as a precaution. This was in line with the global goal of reducing environmental exposure to mercury from all sources. However, there was no evidence that thiomersal in vaccines caused harm. Thiomersal contains a compound called ethyl mercury, but concern about mercury in the environment has centred on a different compound called methyl mercury, which accumulates in the food chain and in the human body. More detailed information can be found on the US National Institute of Allergy and Infectious Disease website. A study from 2008 showed that the ethyl mercury in thiomersal does not appear to accumulate in the bodies of even very small babies. It is cleared from the blood in 30 days, and the evidence suggests that it is passed out in the baby’s stool (poo). The World Health Organization (WHO) and the European Medicines Agency (EMA, previously EMEA) have both stated that there is no evidence of risk from thiomersal in vaccines. Read the WHO statement and the EMA statement . There is also detailed information about the safety of thiomersal on the US Food and Drug Administration's pages . A 2014 Australian study of over a million children found no evidence of a link between thiomersal in vaccines and autism development. Gelatine derived from pigs is used in some live vaccines as a stabiliser to protect live viruses against the effects of temperature. Gelatine in vaccines is highly purified and hydrolysed (broken down by water), so it is different from the natural gelatine used in foods. For example, very sensitive scientific tests have shown that no DNA from pigs can be detected in the nasal flu vaccine (Fluenz). These tests show that the gelatine is broken down so much that the original source cannot be identified. There have been a tiny number of cases of allergic reaction to vaccines containing gelatine (about one case for every 2 million doses of vaccine). People with a known allergy to gelatine should seek expert advice before receiving vaccines containing gelatine. Members of Muslim or Jewish religious communities may be concerned about using vaccines that contain gelatine from pigs (porcine gelatine). According to Jewish laws, there is no problem with gelatine or any other animal substance if it is used in a product that does not go into the mouth. Some Muslim leaders have also ruled that the use of gelatine in vaccines does not break religious dietary laws, because it is highly purified and it is also injected or inhaled rather than ingested (eaten). This issue was addressed by a Public Health England statement issued in October 2013.
the Nasal Flu vaccine (Fluenz). However, very sensitive scientific tests have shown that no DNA from pigs can be detected in Fluenz. These tests show that the gelatine is broken down so much that the original source cannot be identified. 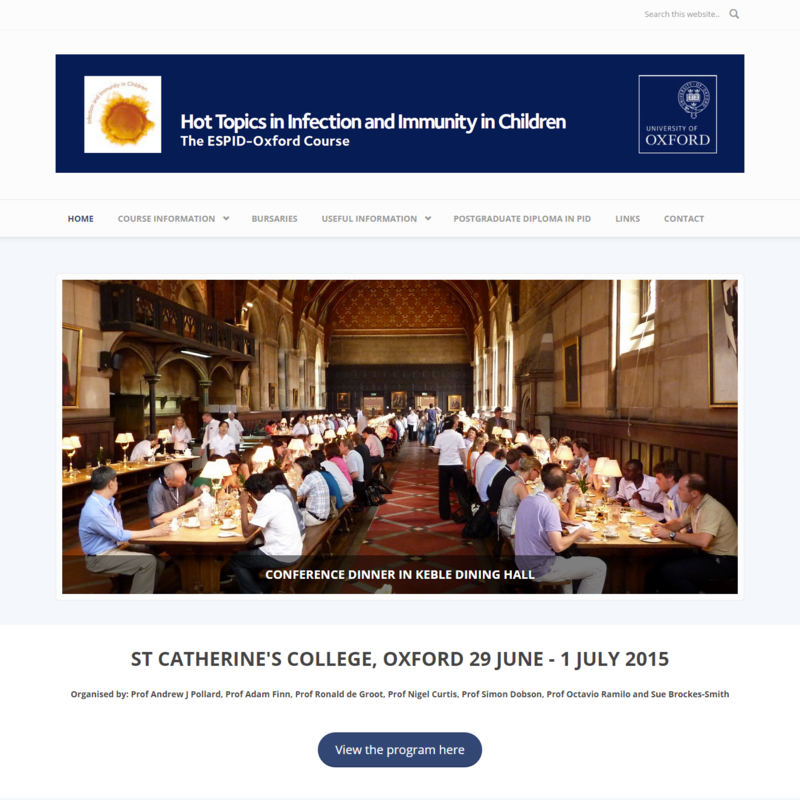 More information can be found in the NHS leaflet 'Vaccines and porcine gelatine' . This information is also available in Arabic , Bengali and Urdu . Human serum albumin is the most common protein found in human blood. It is currently used in very small quantities as a stabiliser in one of the chickenpox vaccines used in the UK (Varilrix), but this will be phased out during 2019. Human serum albumin comes from blood donors who are screened, and the manufacturing process takes away any risk of passing on viruses from the serum. No viral diseases have ever been linked to the use of human serum albumin. One of the MMR vaccines used in the UK, MMRVaxPro, contains a very small amount of recombinant human serum albumin (0.3 mg per dose). Recombinant albumin does not contain any human or animal products. The albumin is produced by cells (such as yeast cells) that have had the gene for human albumin inserted into them. The cells are then able to generate large quantities of human serum albumin without any need to extract it from human blood. Sorbitol is produced naturally in the human body and also found in fruit and berries. It is commonly used as a sweetener in foods and drinks. In vaccines it is used in small quantities as a stabiliser. There may be up to 15 milligrams of sorbitol in the MMR vaccines used in the UK (MMR VaxPro and Priorix). Sorbitol may also be present in one of the chickenpox vaccines (Varilrix). Sorbitol is usually harmless, but people with an allergy to sorbitol, or with rare inherited problems of fructose intolerance, should not receive vaccines containing sorbitol. Polysorbate 80 is a common food additive used in several vaccines as an emulsifier (to hold other ingredients together). Compared to its use in foods, there is very little polysorbate 80 in vaccines. The oral rotavirus vaccine (Rotarix) contains about a gram of sugar (sucrose) to give it a pleasant taste. This is about a quarter of a teaspoon of sugar. Unlike food products or other drug product listings, substances used in the production of a vaccine may also be listed under ‘excipients’, even though they are not added to the vaccine. However, many of the items listed do not actually remain in the finished vaccine. If they do, they will often be present in trace amounts. Antibiotics are used during the manufacturing process of some vaccines to stop bacteria growing and contaminating the vaccine. However, antibiotics which commonly cause allergic reactions (such as penicillins, cephalosporins and sulphonamides) are not used in vaccines. Traces of five antibiotics may be found in some of the vaccines used in the UK. These are neomycin, streptomycin, polymyxin b, gentamicin and kanamycin. People with a known allergy to any of these antibiotics should ask for expert advice before receiving these vaccines. Inactivated Flu Vaccines may contain traces of neomycin, streptomycin, polymyxin b, gentamicin or kanamycin. Check the Patient Information Leaflet for the vaccine you are offered. Some of the hepatitis A vaccines may contain a trace of neomycin. Check the Patient Information Leaflet for the vaccine you are offered. Egg allergy is quite common in children under 5, and much more common in children than in adults. Around 60,000 children in the UK have egg allergies. In the UK schedule, both the Nasal Flu Vaccine (Fluenz Tetra) and the Inactivated Flu Vaccine may contain traces of egg proteins. This is because the flu virus is grown on fertilised hens' eggs. Egg-free flu vaccines have been developed but so far they have not been consistently available. Others are also being developed. However, the Joint Committee on Vaccination and Immunisation has now advised that most children with an egg allergy can be safely vaccinated with the nasal flu vaccine (Fluenz Tetra). This is because the ovalbumin content is very low. The only exception is children who have a history of severe anaphylaxis to eggs which has previously needed treatment in intensive care. These children should be referred to specialists for immunisation in hospital. This advice is based on a recent study called SNIFFLE which tested Fluenza Tetra on several hundred children with egg allergy. 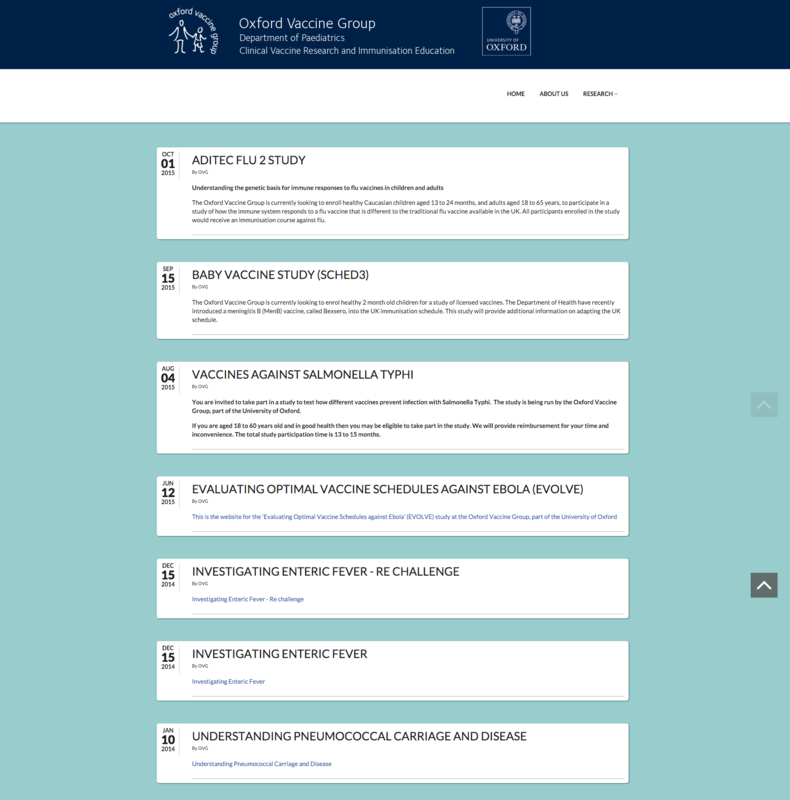 See more information about the SNIFFLE study and an information sheet from Public Health England showing the ovalbumin content of flu vaccines in the current flu season. Other non-routine vaccines, such as yellow fever vaccine, may also contain egg proteins. Those with egg allergy should always ask about egg protein content before receiving a vaccine. In the past, people with an egg allergy were advised not to receive the MMR vaccine. Advice on this changed more than ten years ago. The measles and mumps viruses are grown on a culture which contains chick embryo cells (not on eggs). This means that there is not enough egg protein in the MMR vaccine to cause allergic reactions, so children with severe egg allergies can safely receive the MMR. Doctors have carefully studied this issue and confirmed that there is no increased risk of reactions to the MMR vaccine in children who are allergic to eggs. See the video about this on the MMR vaccine page under 'Ingredients'. Yeast is used in the production of the HPV vaccine (Gardasil) used in the UK. Department of Health advice is that the HPV vaccine can be given to yeast allergy sufferers because the final product does not contain any yeast. A tiny quantity of yeast protein may remain in the 6-in-1 vaccine (Infanrix Hexa) and the Hepatitis B vaccines used in the UK, but there is no evidence that this can cause allergic reactions. Latex (natural rubber) is used in the packaging of some vaccines. For example, the needle tip of the syringe may be protected with a latex bung. This is a risk for people who have a severe allergy to latex (one that causes an anaphylactic reaction), and they should talk to a doctor before receiving a vaccine. People who have less severe latex allergies (for example, a history of contact allergy to latex gloves) are not at risk from latex in vaccine packaging. Formaldehyde is an organic compound found naturally in many living things. It is used in the production of some vaccines to inactivate toxins from bacteria and viruses (for example, poliovirus, Hepatitis B antigen, and diphtheria and tetanus toxins). It is possible that tiny traces may remain in the 6-in-1 vaccine (Infanrix Hexa), Hepatitis B vaccine (HBVaxPro), one of the Pre-school Booster vaccines (Repevax), and the Teenage Booster vaccine (Revaxis). However, formaldehyde breaks down quickly in water (and most of the vaccine is water). The human body produces and uses formaldehyde as part of the process of metabolism. The amount of natural formaldehyde in a 2-month-old infant’s blood (around 1.1 milligrams in total) is ten times greater than the amount found in any vaccine (less than 0.1 milligrams). A pear contains around 50 times more formaldehyde than is found in any vaccine. Glutaraldehyde is a similar kind of organic compound which is also used to inactivate toxins from bacteria used in vaccines. A trace may remain in one of the Pre-school Booster vaccines (Repevax). Salts based on potassium phosphate and sodium phosphate. These are common and harmless. As well as keeping the pH balance, they also help to keep the fragments of active ingredient suspended in the water, so that they do not settle out. A product called Hanks’ Salts, which contains these salts and others, is sometimes used. Disodium adipate, also commonly used as a food additive. Succinic acid, which is involved in several chemical processes in the body. Sodium hydroxide and hydrochloric acid: when these are used they react together to form water and harmless salts, and so do not appear in the final vaccine in their original form. Histidine, an amino acid found in almost every protein in the human body. Sodium borate (borax): a few micrograms (millionths of a gram) may remain in the Hepatitis B vaccine (HBVaxPro) and the HPV vaccine (Gardasil). This amount is too small to cause any harm. Trometamol, also used in the manufacture of other medicines. For some vaccines, the active ingredient is grown in laboratories on cultures that contain human cells. Some viruses, such as chickenpox (varicella), grow much better in human cells. After they are grown, the viruses are purified several times to remove the cell culture material. This makes it unlikely that any human material remains in the final vaccine. The cell strains currently used (called WI-38 and MRC-5) were started in the 1960s using lung cells taken from two aborted foetuses. The abortions were legal and agreed to by the mothers, but they were not performed for the purpose of vaccine development. Some people may have moral concerns about using a vaccine produced in this way. In 2005 the Vatican’s Pontifical Academy for Life issued a statement called ‘Moral reflections on vaccines prepared from cells derived from aborted human foetuses’. This statement says that they believe it is wrong to make vaccines using human cell strains derived from foetuses, and that there is a ‘moral duty to continue to fight’ against the use of such vaccines and to campaign for alternatives. However, it also states that if the population is exposed to ‘considerable dangers to their health’ through diseases such as rubella (German measles), then ‘vaccines with moral problems pertaining to them may also be used on a temporary basis’. Viruses for these vaccines are grown on Vero cells. This is a cell strain started in the 1960s using kidney cells from an African green monkey. The measles and mumps parts of the MMR vaccines (MMRVaxPro and Priorix) are grown on a culture which began with cells taken from a chick embryo. There is no evidence of any risk that animal diseases can be transmitted by vaccines grown on animal cell strains. The only vaccine in the UK schedule which contains GMOs is the Nasal Flu vaccine (Fluenz). The viruses for flu vaccines are usually made by injecting two flu virus strains into an egg and letting them recombine naturally to make new strains. Researchers then look through all the new viruses to see which one has the features they are looking for to make this year’s vaccine. The viruses used to make Fluenz are custom-made by putting together individual genes that will give the right features. This is a quicker and more accurate process. Recombinant vaccines are made using bacterial or yeast cells to manufacture the vaccine. A small piece of DNA is taken from the virus or bacterium that we want to protect against. This is inserted into other cells to make them produce large quantities of active ingredient for the vaccine (usually just a single protein or sugar). For example, to make the hepatitis B vaccine, part of the DNA from the hepatitis B virus is inserted into the DNA of yeast cells. These yeast cells are then able to produce one of the surface proteins from the hepatitis B virus, and this is purified and used as the active ingredient in the vaccine. Proteins for the HPV vaccine, part of the MenB vaccine and the hepatitis B part of the 6-in-1 vaccine are produced using a similar technique. ‘Bovine products’ refers to any product that is derived from a cow or calf (such as bovine serum, which comes from cow's blood). Some sources state that bovine products may be present in the media that are used to grow the viruses or bacteria that are used to make the components of some vaccines. 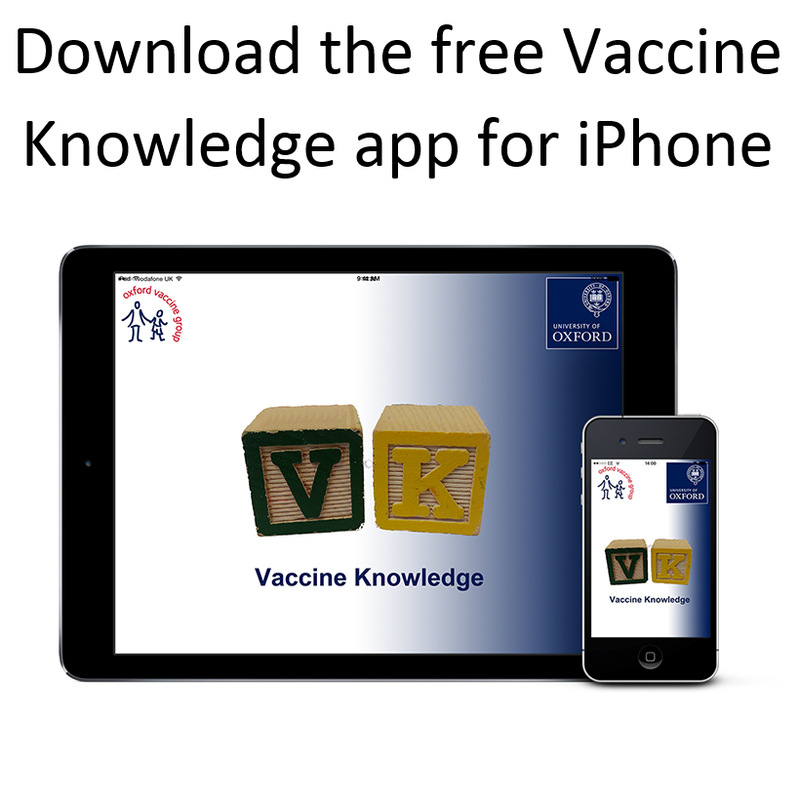 The Vaccine Knowledge Project has only been able to find one vaccine currently used in the UK which states that bovine products are used in its manufacture. This is Repevax, one of the Pre-school Booster vaccines available in the UK. The Summary of Product Characteristics sheets (SPC) for Repevax states that bovine serum albumin is used in the manufacture of the vaccine and that trace amounts may remain in the vaccine. This is potentially a risk for people who are severely allergic to bovine products. Other vaccines in use in the UK may use bovine products in their manufacture, but this is not stated on their SPCs. The European Medicines Agency (EMA) has issued a series of statements and Q&A sheets on the risk posed by bovine products used in vaccine manufacture . These have been prepared in response to the recognition of BSE in the 1980s and are regularly updated. Some bacteria do not need to be grown on human or animal cells. Instead they can be grown on cultures that are rich in proteins, vitamins and salts. Cultures that are often used in the production of vaccines are Medium 199, Eagle Medium and Minimum Essential Medium. If you have questions about any of the other ingredients or excipients used in vaccines, ask your GP for advice, or contact the vaccine manufacturer named on the vaccine's Patient Information Leaflet (PIL) or Summary of Product Characteristics (SPC) sheet. See the list of PILs and SPCs on our links page. In the UK you can also contact the Medicines and Healthcare products Regulatory Agency (MHRA) which regulates medicines, including vaccines, in the UK. See their Customer Service contact list . An article from 2003 giving further detailed information on vaccine ingredients can be found here . The information on this page is based on the best information that we can find from the available literature.